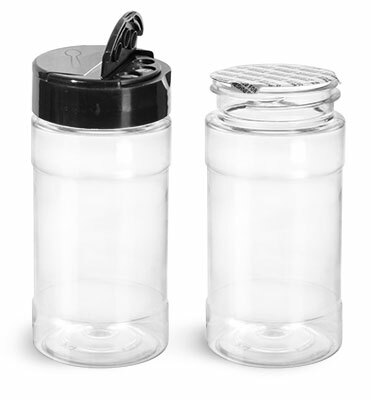 This clear spice bottle comes with a black cap featuring a PS 113 pressure sensitive liner with the words "Sealed for Freshness" printed on top to help further protect your product. 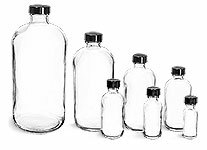 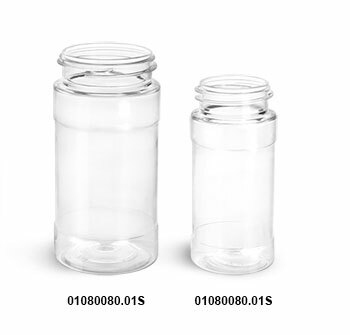 The PS 113 liner is a pressure sensitive liner that adheres to the top of the container once the closure or cap is securely screwed on. This spice cap has 2 openings; one side of the snap cap has three holes (0.300" diameter) for sifting, while the other has one spoon size opening, making this product ideal for seasonings, spices, sprinkles, herbs, and many other toppings!